Customer-Based Brand Equity model (CBBE, Keller, 2002, & Kotler/Pfoertsch, 2006). Modified Lovemarks. 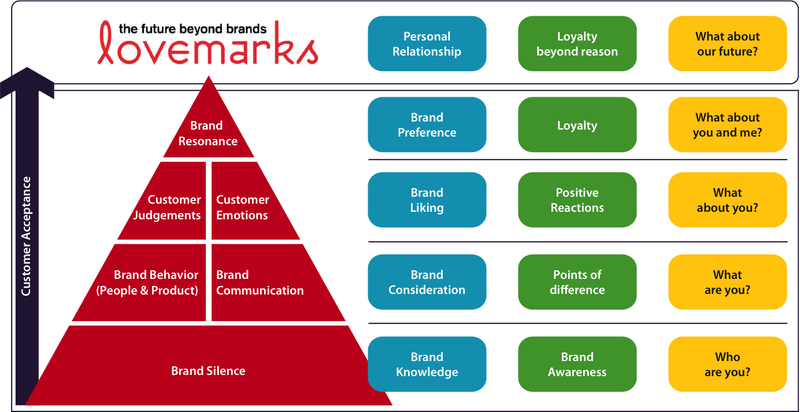 Kevin Lane Keller’s well known Customer-Based Brand Equity Model shows the process of building strong brands. Powerful brands create meaningful images in the minds of consumers (Keller, 1993), with brand image and reputation enhancing differentiation and thus potentially having a positive influence on buying behaviour. Branding in consumer markets has been shown to increase a company’s financial performance and long term competitive position.